I’m predominately a travel stock photographer and always on the lookout for additional means to increase my income streams within the photographic realm. We must act like hunters in this jungle that is the stock industry and, especially as it’s become increasingly challenging to make a living purely off stock photography. This is especially true when Agencies curtail contributors’ benefits all in the name of staying competitive, such as Dreamstime’s recent move to make all their images Royalty-Free and Limit-Free. In my book, I discuss at length about ‘Opportunities Outside of Microstock’ and encourage all contributors to think strategically on where to upload their images so that they yield the most returns. A friend of mine and fellow Microstock grinder, Steve Heap, has written a series of articles on his experience within the Print On-Demand business model, in his blog ‘Backyard Silver’ He’s been submitting to their biggest player, Fine Art America (FAA), for a few years now and has had some nice sales. He goes into details which of his images have sold and crucially, for how much. So, how does Print On-Demand work? FAA is certainly the biggest player. They offers two packages for photographers: a free option, which is limited to a selection of 25 works; and an affordable premium option, costing $30/year, where you can upload as many images as you want, and receive a 5% share of any extras a buyer chooses – like matting or framing. The premium option also has some other added features, such as a customisable portfolio/website. I recommend everybody to take advantage of the free option and upload your best 25 works to them at no cost. That’s precisely what I did about 4 months ago but, I then thought, what the hell it’s only $30/year so I signed up to the premium version. A few simple downloads would cover your costs for the whole year. How have been my sales at FAA? It’s early days and no sales to report as of yet in my FAA portfolio, in fact I only have about 150 images on there at the moment and more are added every week. If there’s anything I would like you to take away from this post is an indication of which types of images potential buyers are searching, so here’s my most searched for images in terms of ‘visitors’. Perhaps not so scientific as actual sales, since lots of buyers just window shop, but it’s all I have at the moment. I hope to blog about my first sale soon and not in 2 years’ time…! What I take from the above simple analysis is that traditional stock images don’t appear to rate so highly, at least in my portfolio. These visitors are looking for more ‘fine art style’ images that would look good on a t-shirt, canvas, iPhone covers, greeting cards and even duvets. It appears that my ‘dark and moody ‘ images are most popular, although the little boy with the camel I shot in Dubai is racing ahead, literally. On a side note, I wrote an article about my recent visit to the UAE, so check it out. Within Print On-Demand there’s numerous other agencies, including Redbubble and Zazzle. Have you considered FAA and how has been your experience so far? I would love to hear from you, so please comment below. 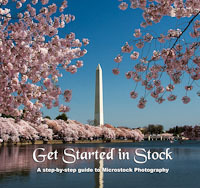 See Part II of this article – Opportunities Outside of Microstock: Fine Art Images. Previous Can you really make a living from stock photography? Thanks for the link, Steve! Beautiful shots. I’ll see what I must do to submit to them and I have loads of airplane pics! Steve was the one who has showed me FAA and I’m grateful for this! With the fee you have few more other extra premium features where the most important is unlimited uploads. With the free account you can upload only 25 files. Back to FAA, I sell prints mostly (both paper as much as metal prints, canvas, etc.) but also some iPhone cases, t-shirts, shower curtains, throw pillows, etc. Everything can sell here. I’m also with other POD sites like Redbubble and Society6 (with nice success) or Artflakes where I get some sales from time to time. Never sold a thing so far with Photo4Me nor Crated. I try to stay away from places like Zazzle. Good luck with your PODs. You made a great point, “I had to wait over a year to see my first sale and then it started coming in for good.” Those are wise words for anybody looking to monetise their photography, this isn’t a get rich quick scheme. That’s why I’m not too bothered I haven’t got any sales yet, just need to keep plugging away! I saw your portfolio there and you have some truly beautiful and sensitive images of Poland, making for great prints on someone’s living room. My great-grandparents are from Poland but believe it or not I’ve never been! It’s definitely on one of my next places to visit. Sounds good, I want to try some flavoured vodka!